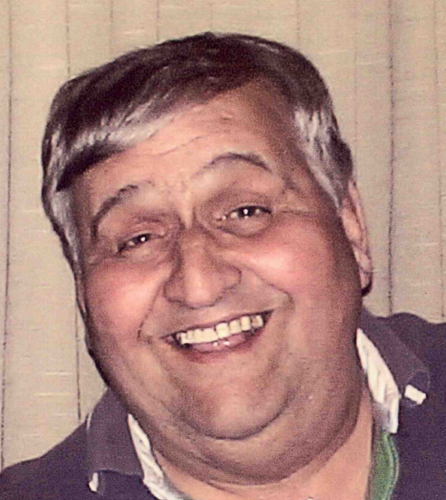 Martin N. Desiderio, 68, of Wilkes-Barre, died peacefully Tuesday, April 10, 2018, surrounded by his family. He was a graduate of E.L. Meyers High School, Class of 1969. Martin was an operating engineer with Local 542. He worked at Piszczek-Desiderio Funeral Home Inc. for several years. He also worked at The Medicine Shoppe in Wilkes-Barre delivering prescriptions. He loved spending time in his garage fixing things and enjoyed a cigar or pipe once in a while. He loved spending time with his grandchildren and watching his favorite sitcoms on TV Land. Martin was preceded in death by his father, James M. Desiderio Sr.; mother, Elizabeth; and brother, James M. Desiderio Jr.
Martin is survived by his wife, Roseanne; children, Jason, Wilkes-Barre; and Bradley, New York; stepchildren, Allen and Dr. Steven Cook, Michigan; and Carla Myers, Mountain Top; grandchildren, Michelle and Anthony Desiderio, Krakow, Poland; Leo and Archer Cook, Michigan; and Mallory, Mason and Marley Myers, Mountain Top; and brothers, Samuel Desiderio and Michael Desiderio, both of Mountain Top. A Mass of Christian Burial will be held at 9:30 a.m. Friday in St. Mary's Church, 134 S. Washington St., Wilkes-Barre, with interment to follow at St. Mary's Cemetery, Hanover Twp. Friends may call from 8:30 a.m. until the time of service in the church. In lieu of flowers, donations may be made to Celtic Hospice Care, Kingston.